Where to buy a cheap gift set? You can get cheap gift sets from Amazon, Boots, Marks & Spencer and more. A great present idea, gift sets tend to be health and beauty products, but can also be food and drink or homeware. You need to be sure you're really getting a deal, as gift sets often contain smaller bottles than usual. You're paying for the pretty packaging - which may be fine - but really you want to be buying more than usual for a lower price. Our deal hunters look for good value gift sets to ensure you're getting a great price. Price drops from the UK's top retailers. 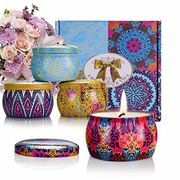 Scented Candles Gift Set - £4.49 from Amazon! Buying the perfect gift for our loved ones can be daunting at times, especially if they’re someone who’s really hard to buy for or they have a habit of buying whatever they want themselves. Fortunately, there’s a solution to that conundrum. If you can’t decide what to get for someone special in your life then go for gift sets. Compared to vouchers, giving someone a gift set is more thoughtful. And the best thing about it is that everything’s arranged in a very enticing way for easy buying. If you’re gifting a beauty buff, receiving a beauty gift set like a Soap and Glory gift, L'occitane gift set or if you have the budget a Chanel no 5 gift set will surely make them squeal with happiness. But if you want to play safe it is best to learn what their favourite brands are or what they’re using at the moment. Pampering and cosmetic gifts are always a hit so if you don’t have an idea what they’re using at the moment, stick with fragrances, nail polishes, cleansers and makeup brushes that are sure winners. If you’re buying for that special man in your life and he’s not into telling about the things he want, finding the ideal mens gift set can be quite tricky but a grooming set like a Lynx gift set is a good start. Also if he likes to drink spirits, then he might appreciate a gin gift set or a nice Baileys gift set. For the person who’s style-conscious, go for something with a little flair like a chocolate gift set, hot chocolate gift set or a Yankee Candle gift set for a girlfriend or your mum. 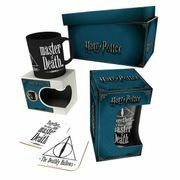 Below you will find where to get the best possible deals from these gift sets. Our team of bargain are always on the lookout to find the best possible savings for our members. Here at Latest Deals we have the hottest gift sets sales, offers, discounts and voucher codes that will provide you with amazing savings! Marks & Spencer offers great gin gift sets as they offer them with really nice food items that complements the gin, they even have a Connoisseur Gin Mix Set for just £25 that will surely delight the gin lover in your life as it includes everything they need to create their very own concoction of spiced gin cocktails and a stirrer as well. If your budget is £20 or less, Amazon offers a wide selection of gin gift set starting at just £9 plus you if you’re an Amazon Prime member, your eligible for free delivery. Yankee candle gift sets are currently on sale at Yankee Candle’s website. You can get pretty nice discounts ranging from £2 to £10 on selected sets of jar candles, wax melts, discovery sets and tea light candles. You can also find great Yankee candle gift sets deals in Amazon like the Three Scented Wax Candles in Glass Jars for just £9.99 from £25, that’s a savings of £14.99 and if you’re an Amazon Prime members, you’ll even get this delivered to your doorstep for free! You can get Chanel No 5 gift sets at John Lewis starting at £74 plus you also have a choice to opt for a gift set that’s already wrapped for £99 to £105 depending on the type of Chanel No 5 it comes with. Debenhams on the other hand offers wider choices for both men and women. Women’s Chanel No 5 gift sets ranges from £74 to £112 while their men’s gift set ranges from £52 to £87. Buying L’occitane gift set at their official website can give you pretty good savings since the products are bundled. For example, if you will individually buy the products on their Terre de Lumierre L’eau Luxury collection, it will cost you about £88.50 but if you will buy it as a gift set it’ll only cost you £68 giving you a nice £9.50 savings! You may want to also check out the L’occitane gift set offers at John Lewis marked with Special Buy. Products at the retailer marked with Special buy means they negotiated with L’occitane to offer those products at discounts exclusive to them and passing on the savings to their customers. You can save £3 on the Baileys Tumbler and gift set at Very while you can find a great deal of Baileys gift set at Amazon ranging from sets with chocolates to gift sets that comes with a personalized engraved cut crystal glass. Some are limited in stock so once you see something you really like, grab it as soon as you can. You can get a savings of up to £2 on Lynx gift set clearance deals at Argos. Asda offers the Lynx Duo Black Body Gift Set £5 while Argos has this for £4.99. For a wider selection, check out Amazon’s Lynx gift sets where they have everything from shower gels to shower tools and anti-persipirant with really good price tags. For example their Lynx Dark Temptation gift set comes with an anti-persipirant, body wash and body spray with a portable charger power bank for just £9.99. Choose from Happy Hamper gift set to Birthday washes gift sets starting at £5, you’ll surely find the cute perfect gift set at Soap and Glory and not bend your wallet. For more choices, head on to eBay where you can still find Soap and Glory Christmas gift sets for as low as £8.95, they also have limited edition gift sets. Make sure to ask for the real photos of the products to ensure you’re getting the real deal. Where can I get cheap Christmas presents? How to get discounted gift cards?